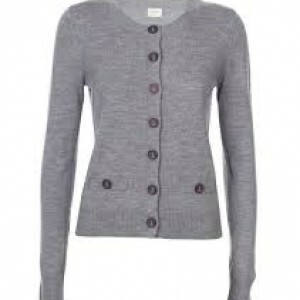 Look just because this week I am writing all about study, I just had to find an excuse to go buy something at the Gormans sale (ok 3 things that will be revealed over the weeks ahead) and I am focussing on a good old grey cardigan. I know Nina Garcia swears by a long grey cardigan but I bought this cute short one with special buttons (featuring orange, fave colour, anchors). Grey goes with everything. And cardigans are practical. Will look good not only in a meeting but when studying in the library I think.